Rolling Stone investigative reporter Greg Palast's investigative report details the dark operation Crosscheck, a collaboration between the Republican Party and wealthy donors that he claims led to the disenfranchisement of one million minority voters. Admission is free, and donations will be accepted. SHARMINI PERIES: We spoke to Greg Palast, who has been researching the issue of voter suppression and voter fraud, about the ways in which this citizenship status information gathered in the 2020 census ... GREG PALAST: In fact, the latest scam, this is important, is this new question about citizenship. Greg Palast has been beating the drum on Republican voter theft for decades. (“When someone steals your car, you don't say my car was 'suppressed. '”) No one really seems to care. I've long given up trying to convince people in Los Angeles to vote. How long will it take before we all give up on America. Greg Palast & Jackie Spear on Russia Gate. Today on Flashpoints: Congresswoman, Jackie Spear, and best selling author Greg Palast, on the Russia gate frenzy. Also, Yale global justice fellow and former Wall Street economist, James Henry on the Stock Market fall and it's significance. And we'll feature a commentary from Miguel Gavilan Molina. Intrepid reporter Greg Palast, who has spent the last 18 years investigating what he calls the GOP war on voters, gives us the heads-up on the midterms—so far. PLUS Bay Area treasure, muralist Juana Alicia about a new book. With host Kris Welch. Also, the aerospace industry poised to expand their profits big time by the creation of a new “Space Force”. We'll also speak to an activist whose on a 30 day hunger strike to protest a corporate welfare bill for General Dynamics in Maine. 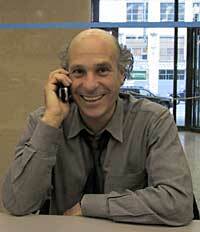 And the Flashpoints Election Crimes Bulletin returns with Greg Palast. DeAndre Harris, who was severely beaten in August by white supremacists in Charlottesville, Virginia, has now been charged with the same crime as his attackers: "unlawful wounding." (Photo: Robert Nickelsberg / Getty Images). Note: This article contains graphic photos of anti-Black violence. Between The Lines' Scott Harris spoke with investigative reporter Greg Palast whose film documentary, “The Best Democracy Money Can Buy,” examines Kobach's role in employing his Crosscheck system that wrongly purged some 1.1 million Americans of color from the voter rolls in the 2016 election. Empire Files: Greg Palast on the Hidden Purging of Millions of Voters. Friday, April ... To explain this major attack on our supposed democratic process, Abby Martin interviews investigative reporter Greg Palast, who has done the most extensive work uncovering this massive disenfranchisement campaign. ... question about internal manipulations in the US elections, which were exposed by American investigative reporter Greg Palast in 2016.